This Vegan Guacamole recipe is simple and delicious. 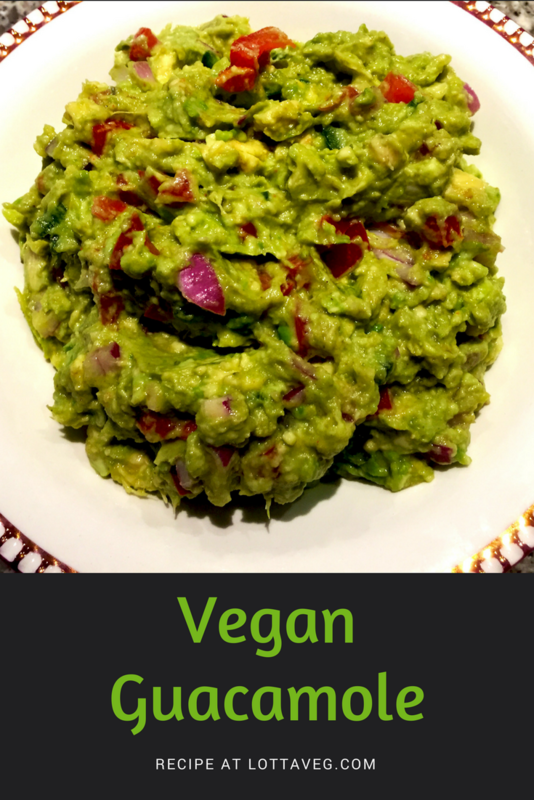 It's sure to be a big hit at your next party or gathering of friends and family...even non-vegans will love it. Cut the avocados in half and remove the seeds. Scoop out the flesh into a medium to large mixing bowl. 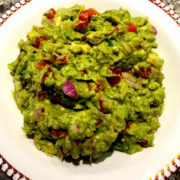 Squeeze 2 small limes or 1 large lime over the avocados and use a fork or potato masher to combine. The mixture should be smooth, but still a little lumpy. Finely dice the onion. Remove the seeds from the tomato and finely dice. Remove the seeds from the jalapeño and finely dice. 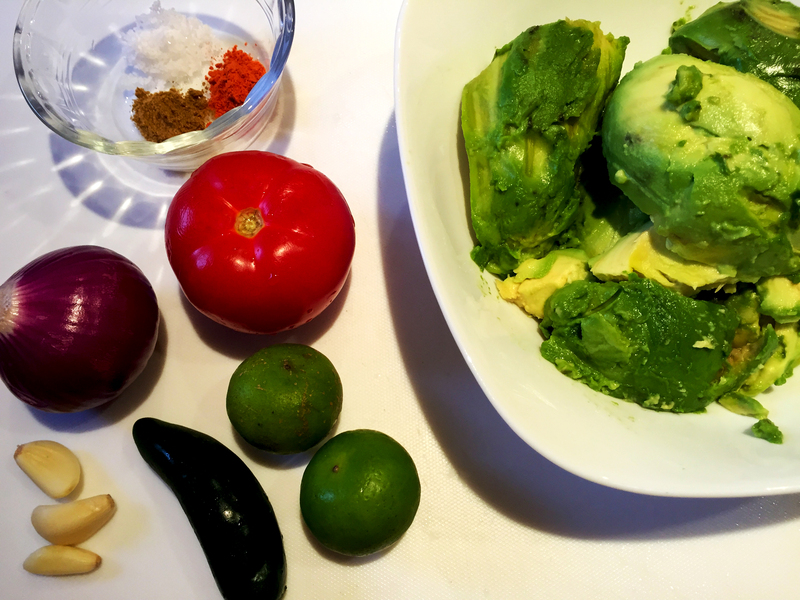 Add all 3 to the bowl with the avocado. Mince the garlic cloves and add them to the bowl. Add the salt, cayenne pepper and cumin to the bowl. 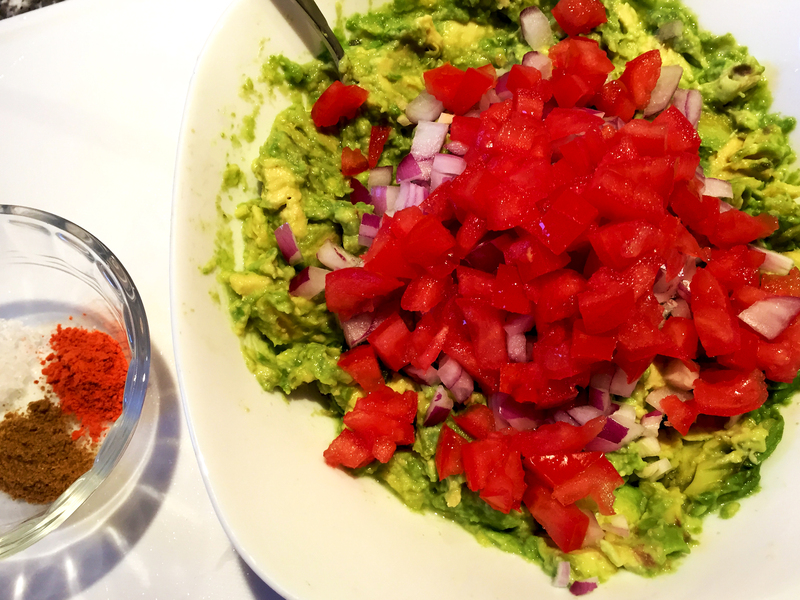 Optionally, add a tbsp of fresh chopped cilantro. Stir to combine well. Let stand for 30 minutes to an hour to allow the flavors to combine. 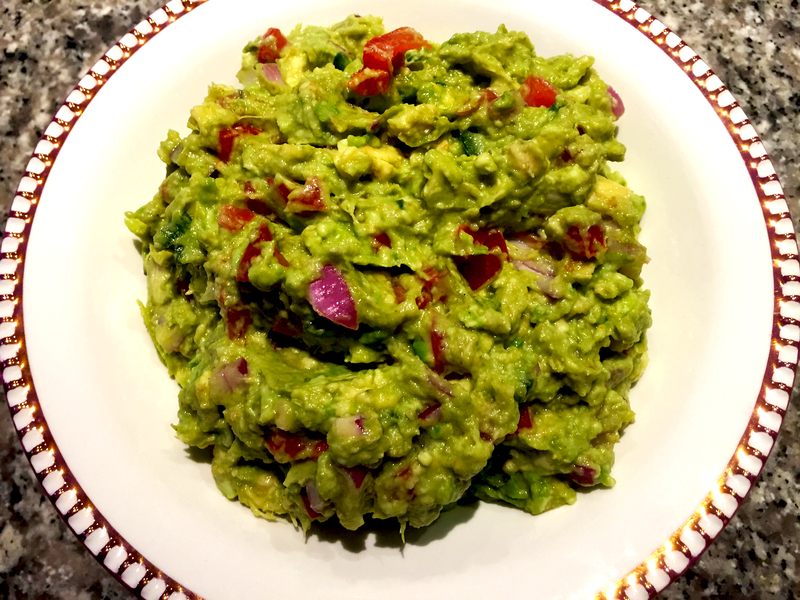 Serve with your favorite corn chips or as a condiment on your burrito bowl or sandwich. 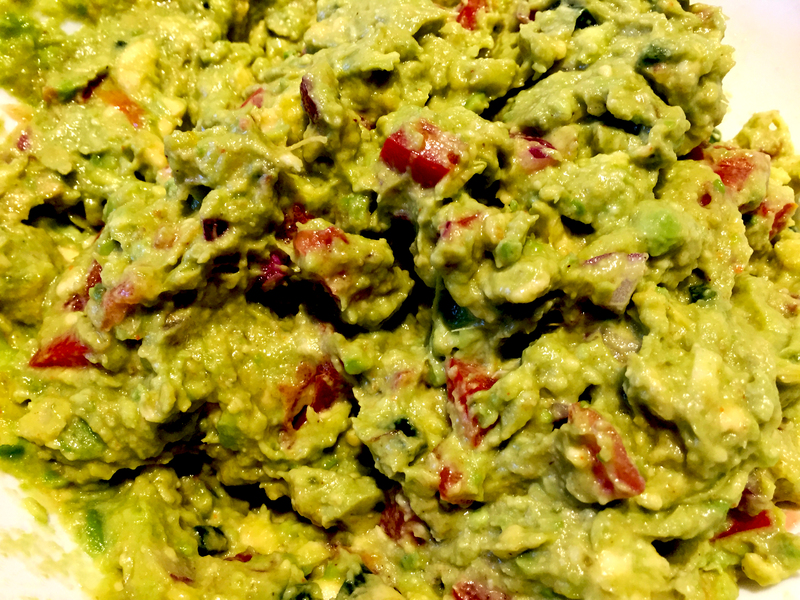 Serving size is 1/2 cup of Vegan Guacamole.